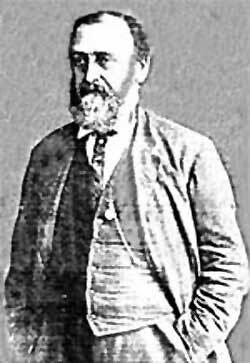 William Ellis Metford (4 October 1824- 14 October 1899) was a British engineer best known for designing the Metford rifling used in the .303 calibre Lee-Metford and Martini-Metford service rifles in the late 19th century. Metford was interested in both firearms and mechanics from an early age, and was employed as an engineer's apprentice with the Wilts, Somerset, and Weymouth Railway in south-western England after he finished school. In March 1856 he was elected as an Associate of the Institute of Civil Engineers in 1856, and soon moved to India with his wife, arriving in 1857 during the Indian Mutiny. The next year, he was forced to return to England because of poor health. Much of his work with rifles and bullets was conducted in the period 1852-1857; during this time he was instrumental in designing the Pritchett bullet for the .577 calibre Enfield Rifled Musket, as well as an explosive bullet and explosive shell which were adopted by the British Government. Metford was also involved in designing bullets and rifle barrels for target shooters, and his bullets designs were noted for their accuracy. In 1889 the Metford rifling design was chosen by the British Government for use in the new .303 calibre rifles being introduced to replace the Martini-Henry, and in 1891 Metford received £6,500 in royalties from the British Government relating to the use of his rifling in military service. William Eliis Metford died in Bristol, England on October 14th, 1899 after a number of years of ill health. 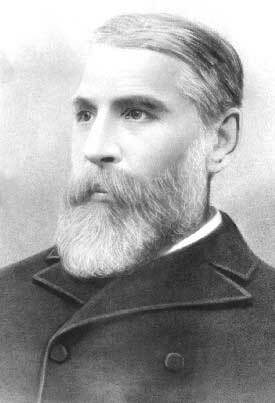 James Paris Lee (August 9, 1831 – February 24, 1904) was a Scottish-Canadian inventor and arms designer, best known for inventing the bolt action that led to the Lee-Metford and Lee-Enfield series of rifles. Born in Hawick, Scotland the Lee family emigrated to Galt, Ontario in Canada c.1835 when James was 4. He built his first gun at the age of 12, using an old horse-pistol barrel, a newly carved walnut stock, and a priming pan made from a halfpenny. The gun failed to function effectively when first fired, but started Lee's interest in gunsmithing and invention. In 1858, James Lee and his wife Caroline Lee (nee Chrysler, of the later automotive family) moved to Wisconsin, where they had two sons- William (born in 1859) and George (1860). In 1861, Lee successfully developed a breechloading cartridge conversion for the Springfield Model 1861 Rifled Musket, managing to acquire a contract for 1,000 rifles from the US Army during the American Civil War. The Lee Model 1879 rifle was his first successful magazine-fed rifle, which was adopted by China and the US Navy, and a later design - the Winchester-Lee M1895 - was also adopted militarily and sold commercially. It is a portion of the Model 1879 that earned Lee his place in the pantheon of arms designers. Lee designed the first practical detachable box magazine - an item that would become an absolute requirement for military arms of the future. His bolt and magazine design was investigated by the British and in 1889, after extensive trials and tests, the British Army decided to adopt the Rifle, Magazine, Lee-Metford as a standard issue arm. This in turn developed into the Rifle, Short, Magazine, Lee-Enfield (or SMLE), the British service arm for many decades. James Paris Lee died in New York on February 24th, 1904, having lived to see his rifles in service throughout several Colonial conflicts and the Boer War- yet no doubt completely unaware that his contribution would still be in official service almost 100 years later.